TagType makes Inputting Kanji Easier | OhGizmo! By Chris Scott Barr on 07/11/08 • Leave a comment! I don’t know how to speak or write Japanese. I took a class in high school, but honestly I can’t do much more than say hello and count to 5. I’ve always been a bit baffled by kanji, and how it’s even possible to write it on a computer, with all of the detailed markings in it. Well if you just happen to be looking for an easy way to input such characters on your PC, or many other devices, this TagType may be what you’re looking for. 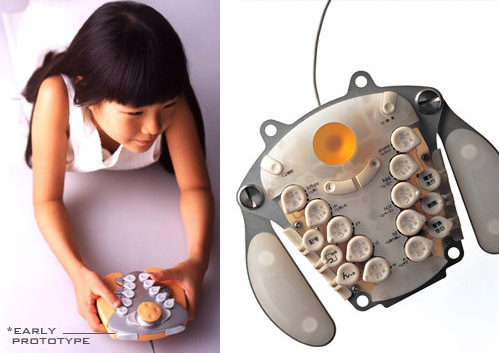 Apparently this device was originally created as an input method for handicapped, but has spawned into something more. The company behind it seems to think that it could become a universal input for all kinds of devices, such as PCs, TVs, video games and more.